Such a please to continue working with you and I’m pleased to let you know we’ve assembled your press release announcement for your book reading/signing in Los Angeles next month at Stories Books & Café. It’s the perfect place for the blood-making demonstration that your daughter Terry will share with the world ;). LOS ANGELES, CA – Known for his ingenious marketing gimmicks, legendary horror film producer and director William Castle (1914-1977) has returned from the dead with his first new work in decades, From the Grave: The Prayer (Volume 1), a novel for young adults. Due out this Halloween season in early October 2011, the 75,000-word book set in Hollywood and Southern France is a compelling thriller infused with history, suspense, and horror. To celebrate, there will be a special Los Angeles Halloween event where his own flesh and blood, daughter Terry Castle, will read from and sign copies of the book at Stories Books & Café in the Echo Park neighborhood of Los Angeles on Thursday, October 27, 2011 at 7:30 pm (1716 West Sunset Blvd., Los Angeles, CA 90026; 213-413-3733; http://www.storiesla.com). All ages are welcome! Expect Halloween tricks and treats including a fake blood making demonstration by Terry as she reveals the secret family recipe. 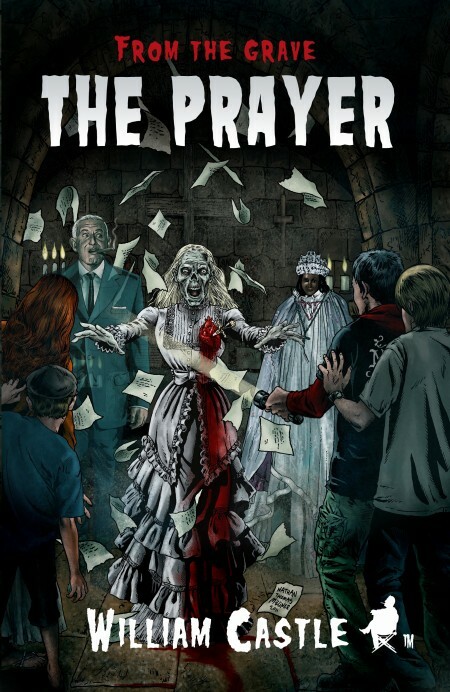 From the Grave: The Prayer will be released on October 2, 2011 through the recently resurrected William Castle Productions. For more information please visit http://williamcastle.com. Terry Castle, the real life daughter of cult filmmaker William Castle, grew up in Los Angeles with a dad who made a living scaring the wits out of moviegoers everywhere. 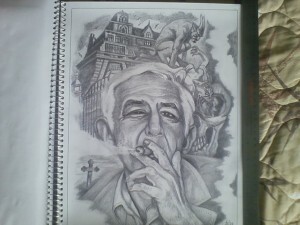 Although he was internationally famous, to her he was always just dad, though a larger than life one at that. While she was growing up in the 1960s her father taught her interesting life skills such as the best recipe for fake blood, the proper way to hold an ax, and how to act out the most terrifying of ghost stories. After working as a writer and producer for years for CNN, Travel Channel, and Nickelodeon/MTV-Networks, she worked with Dark Castle Entertainment (Joel Silver and Robert Zemeckis’ production company named after her father). 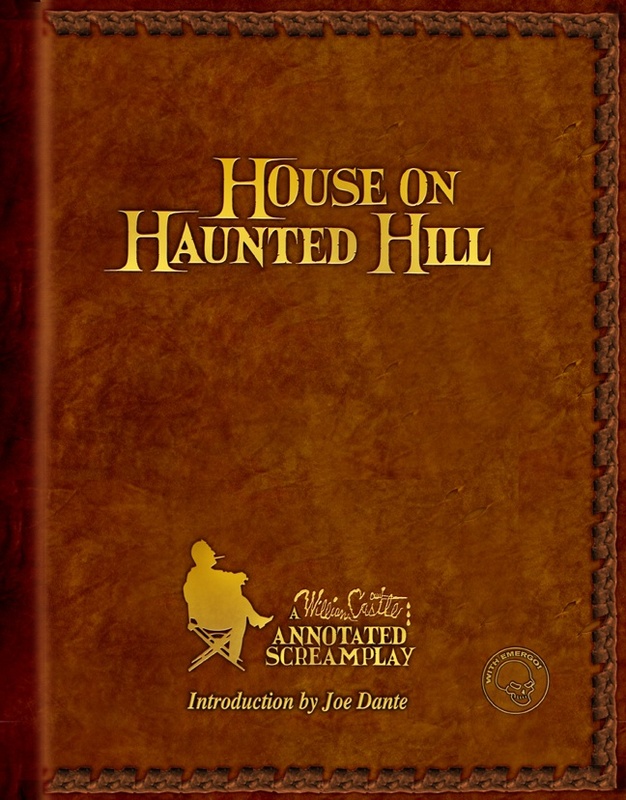 At Dark Castle she co-produced and consulted on the remakes of two William Castle films to make the plots even more frightening: House on Haunted Hill (1999) and Thir13en Ghosts (2001). Her soon to be released book, FearMaker: Family Matters, is an homage to her father (he’s a ghost writer on it actually!). 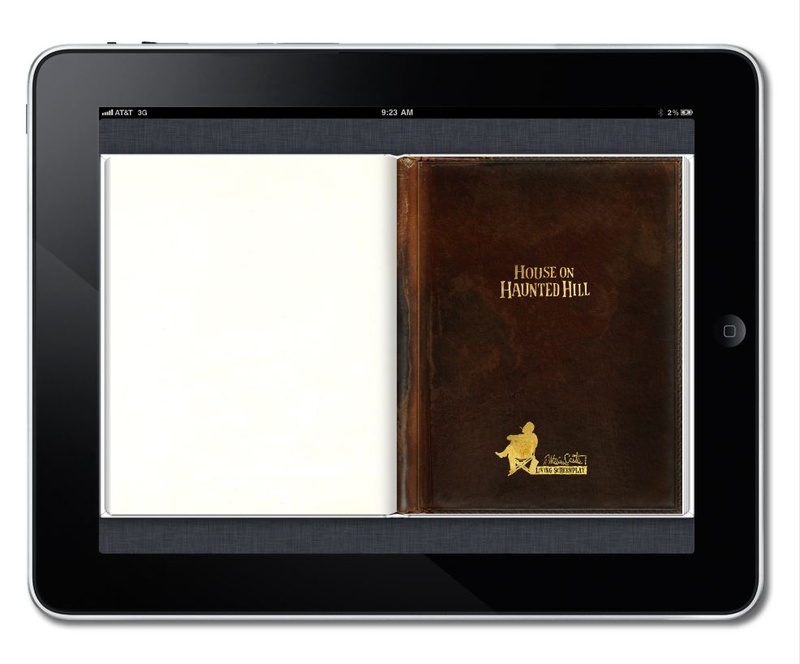 Much of what lies within the pages of both The Prayer and Family Matters is based on real life occurrences shared by the two Castles. Horror is in her blood, as she carries on her father’s wicked tradition of scaring innocent souls everywhere. 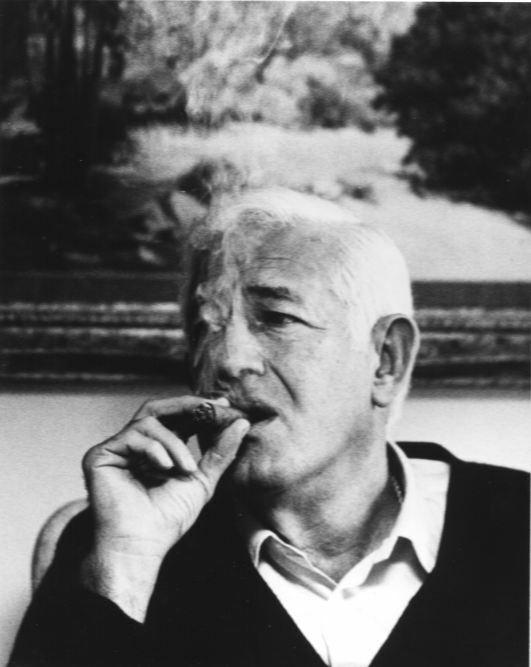 Since the 1950s, William Castle Productions has been dedicated to scaring America with dozens of film and television releases. The production company is best known for films Rosemary’s Baby (1968), House on Haunted Hill (1959), and The Tingler (1959). Dormant for a number of years after Castle’s death in 1977, the production company has been re-animated in recent years by the ghost of William Castle in collaboration with his daughter Terry Castle. 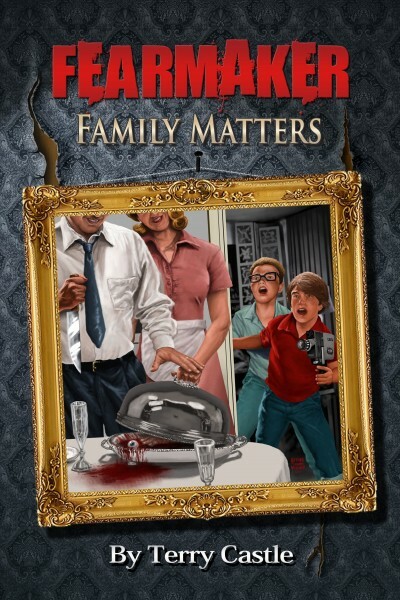 In addition to From the Grave: The Prayer, William Castle Productions will soon release another new book, FearMaker: Family Matters written by Terry and William Castle. 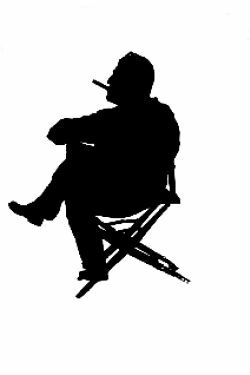 Additional new film, television, theater, and DVD projects are also currently in the works. On May 31, 2010 – the 33rd anniversary of his death – Castle began communicating with his many fans again via social media networks not available to him prior to 1977. 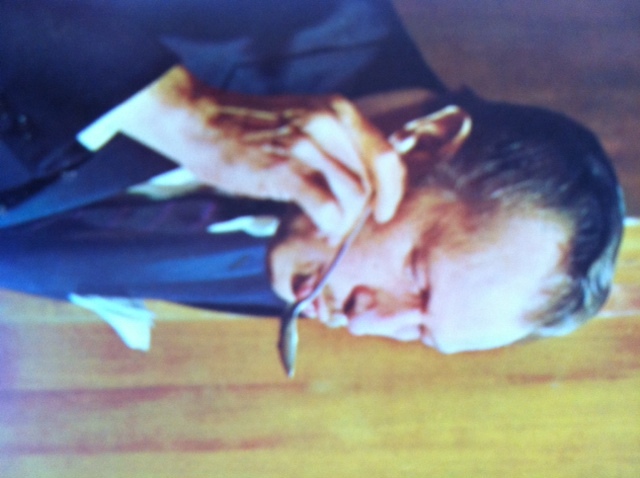 He is now communicating through his Facebook page, Twitter (@billcastle), and his personal blog http://williamcastle.com, from the grave. 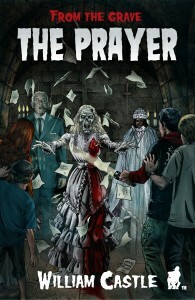 “On October 2, 2011, the world will once more feel the clammy, carnival grip of William Castle’s work when “he” releases his first book, FROM THE GRAVE: THE PRAYER, a terrifying tale geared—as were the original Castle horror films—to young adults looking for bone-chilling, yet campy, shocks. FANGORIA is teaming up with Castle and giving our readers the chance to take a page out of THE TINGLER’s wild ad campaign and “Scream for Your Life!” And three lucky winners will receive a signed copy of the book plus…a classic piece of vintage memorabilia from the Castle vaults! Simply pick up your iPhones, webcams or any other video recording device and film yourself doing your best Hollywood horror-style scream—the louder and more dramatic the better—and send an MPEG to chris@fangoria.com . We’ll send the video straight to the gloriously undead William Castle and his charming (although still rather bloodthirsty) daughter, Terry Castle, who will watch ’em and judge ’em. 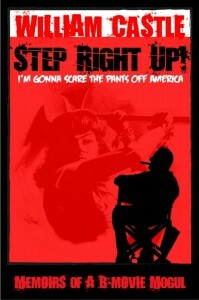 We’ll then start posting the best of them online at Fangoria.com. I am delighted to report that the French authorities have made substantial progress with their investigation into the strange events that I have written about in FROM THE GRAVE: The Prayer. It now appears that the inquiry will be wrapped up in a matter of weeks, at which point in time the legal hold will be released. I’ll update you again once my lawyers have more information. I am saddened and disappointed. I just received a letter from the attorney for my estate. Thank Goodness for those of you who ordered your copy of “From the Grave: The Prayer.” You will all receive your copy. I suppose the launch date for the novel will have to be pushed back until I can get this mess straightened out. ONLY A FEW COPIES LEFT. These are collectibles. A pre-sale offer! The first 100 hot off the press, signed (by my own flesh and blood), sealed and delivered. It has been over a year that I have been back “From the Grave” and I am finally ready to tell you the whole story. It is a true story, as true a story as any dead man could write. And a tale that begins where it should have ended. I owe so much to Aleck, Edgar, Sarah and Luca. You will finally get to know them, as I have. And the dark Saint–she put it all in motion. I can’t wait for you to read all about our little adventure. It is sure to cause you some sleepless nights. But it wouldn’t be a William Castle tale if it wasn’t a horror story. It is a classic tale of terror, suspense and intrigue set in southern France. 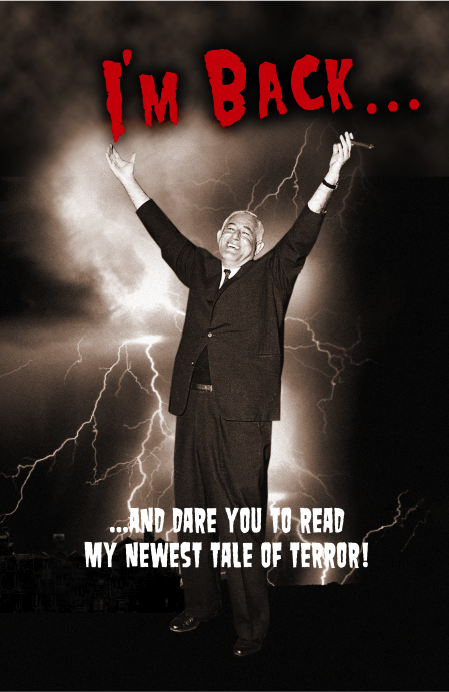 I hope you find it thrilling and clever, macabre and chilling, and reminds you of my old films. They will receive an autographed copy signed by my own flesh-and-blood and verified by the attorney for the Estate of William Castle. 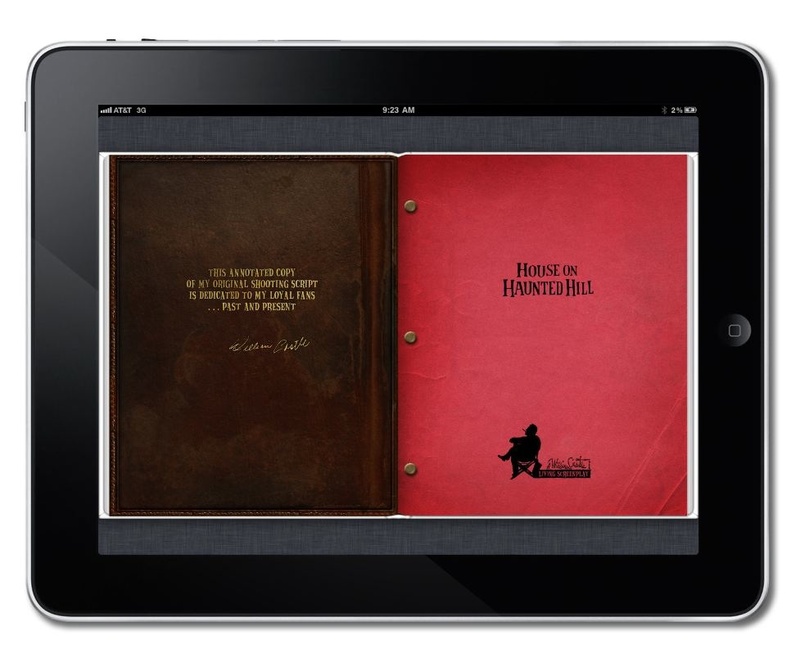 Just go to the right of this page and click to own this Collectible Edition. And don’t forget to sign your indemnification clause inside the novel. If not, I’ll know where to find you. The dark Saint had a lot to say. I knew she would. I had heard about her over the years. And I was always a believer. I knew before I died that I must meet the venerated Saint of the Gypsies. She had uncanny abilities! 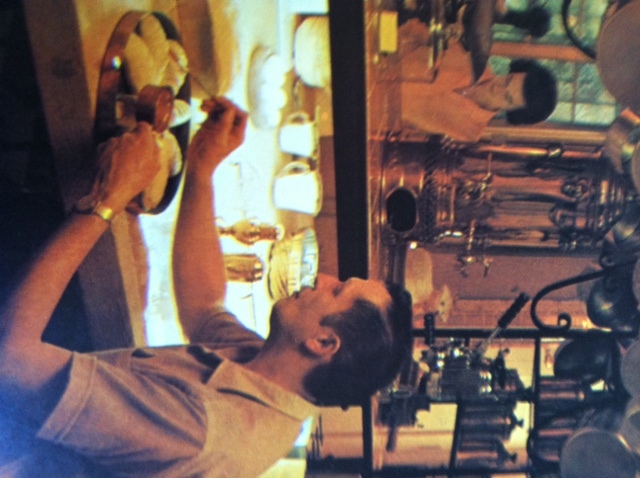 I was visiting my home in Gordes, France–the one I had bought in 1959. When I had first stumbled upon the house while driving with my wife through southern France, I knew I had to own it! It was perfect. A dream come true. From the curb, it truly looked haunted. “Precisely,” came my reply. I can make millions of skeletons keys and give them away at my next movie. Then someone will own a haunted house. Well, I bought the house and was enjoying visiting Provence a week before I died. 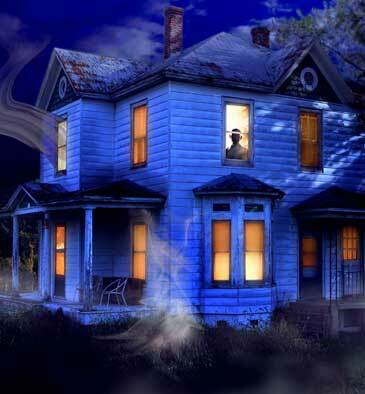 You see the house was not far from where the dark Saint was housed. She rested in an old church in a small seaside town called Les-Saintes-Maries-de-la-Mer in the Camargue. I knew I wanted to leave a prayer by her feet. I knew exactly what I wanted to say. On May 24, 1977 I had my driver take me to see her. And this is where my story begins. Or should I say, ends. It took thirty-four years to figure out that my prayer had been answered. It had just been terribly misconstrued. I can’t wait to share the whole story with you. I will soon. Very soon indeed. I will keep this post short and sweet. I have but one urgent question and tonight I could possibly get my answer. You see, we will have a lunar eclipse this evening. 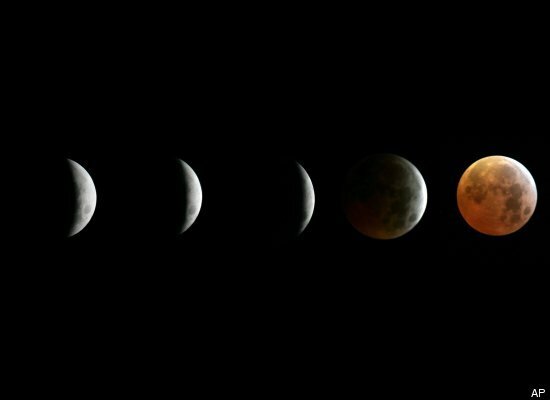 What happens to a werewolf when the earth’s shadow completely hides the moon? Does he pause and wait for the moon to reappear? Does he turn back into a human only to transform again? 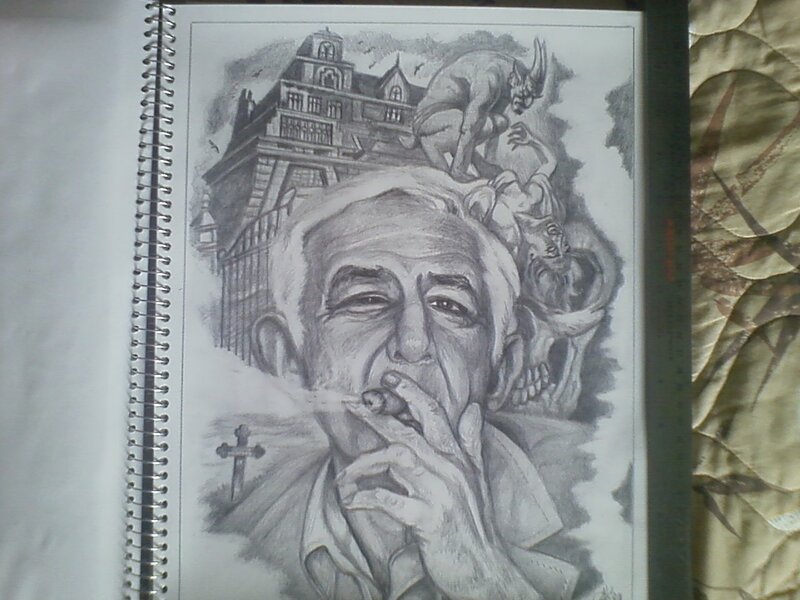 Thank you Alexander Kautz for your splendid art work. You make me smile. I am humbled and delighted. And Mr. Rich Orth. Your poetry continues to delight me. The two together is fetching. Don’t you think? It’s been a year. One entire year. A wonderful, if not confusing year. You see, my friends, I returned “From the Grave!” one year ago today. Why this date you might ask? Well sadly, this is the day I died 34 years ago. At my home in Beverly Hills, California, surrounded by my family. The family I adored. Being back has been an amazing adventure. Through the strangers, Aleck, Edgar, Sarah and Luca, I’ve gained insight into your world. You see, I have come to know these kids in a strange and enchanting way. But I’ll explain more about this later. The strangers allowed me to gain insight into your world, your technology, your new ways. I have had a blast! I am delighted to see that I am still remembered, even loved. It touches me deeply. But it’s the girl with the tattoo who popped up on my Facebook page one October day that took my breath away. She’s young. Way too young to remember me. But there she was, with a picture of me on her ankle. Her soft flesh had my logo inked into her skin. It stunned me. Floored me. Surprised me. But most of all, it delighted me. And then this girl with the tattoo took me into her world. I don’t know if she was afraid or not. I never asked. She believed in me. And instantly I believed in her. 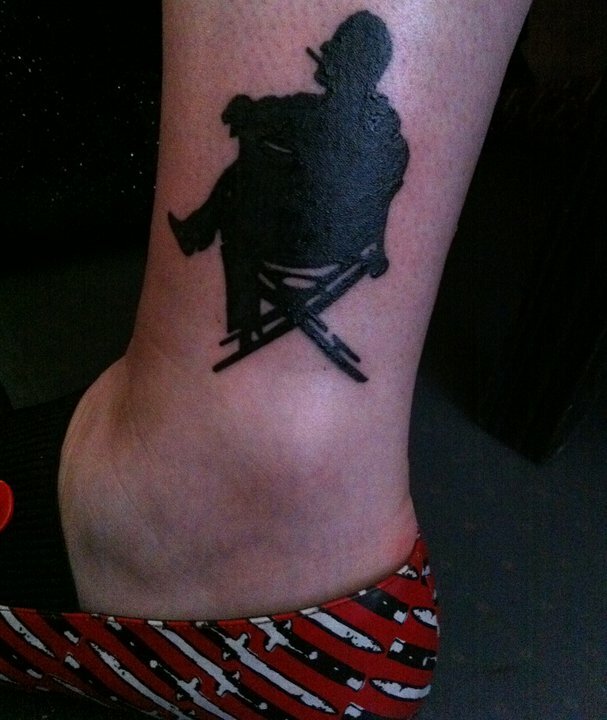 My image on her ankle no doubt caused great pain, but also, the ink from my image made its way into her bloodstream. She is connected to me now. Come to pass that the girl with the tattoo has a name. Her name is Amy Searles, and she works with a wonderful company in Hollywood called TrailerPark. We were destined for a relationship. These are my working scripts with my handwriting scribbled all over them and if you are a true believer, you’ll see plumes of my cigar’s smoke wafting over the pages. More details will avail themselves as we approach Comic-Con. 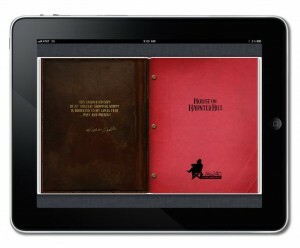 And yes, there will be hardcopy editions.I don’t want to give too much away. But let me just say, some wonderful directors of your day will be involved in presenting this latest incarnation of my work. And that’s not all. You will finally get to meet Aleck, Edgar, Sarah and Luca in my latest novel, “From the Grave! The Prayer,” and begin to understand my entire journey back to your world. Thank you loyal fans for allowing me back into your beating hearts and into your darkest dreams. 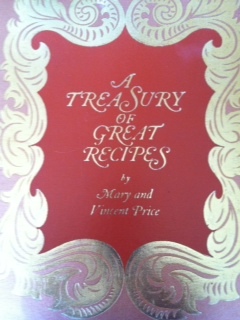 For Vincent’s 100th Birthday Lets Cook Up Something Special. 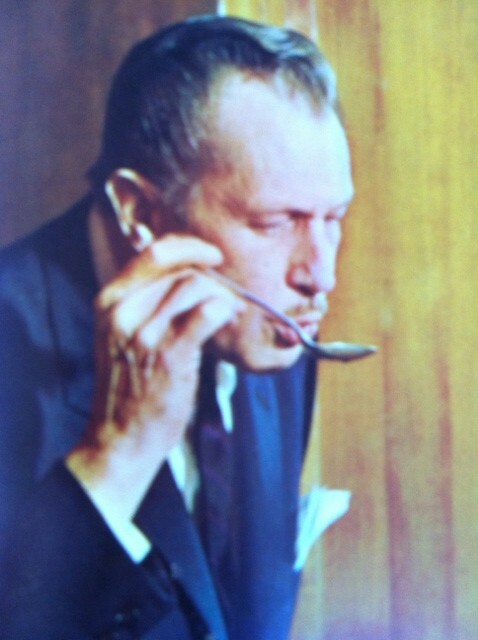 Along with being an amazing actor, an elegant man, Vincent Price was a wonderful Cook. I thought what better way to celebrate Vinnie’s birthday than getting his fans to cook up one of his favorite recipes. 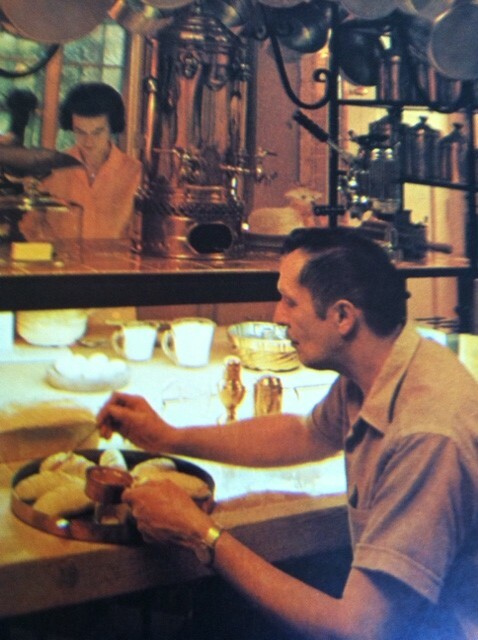 This one was taken from his cookbook, “A Treasury of Great Recipes.” He presented me with this book in 1965. It was written with his wife, Mary. One can almost hear his voice as he describe this dish. “There has been a tremendous amount of argument about whether this dish is called “rarebit” or “rabbit”. We go along with those students of the language who say that originally it was a wry joke, like Scotch woodcock. The poor Welshman’s rabbit was only a piece of toast under cheese sauce and the poor Scotsman woodcock was also mere toast under an egg sauce. Some literal-minded fellow must have said, ‘Shucks, that ain’t no rabbit, but it’s a” rare bit,” and a new word and the argument were born. This is a good dish whatever you want to call it, only what ever you call it, please make it with beer instead of with milk. 1. Remove crusts from: 4 thick slices bread. Toast and keep warm. 2. In a double boiler, over very low hear, melt: 3 tablespoons butter. Add: 1/2 pound grated cheddar cheese. 3. Stir with a wooden spoon and add, a little at a time: 1 cup beer or stout that is at room temperature or warmer. Stir continually till smooth. 4. Add: 2 beaten egg yolks. Keep stirring and do not let the rabbit boil or simmer or it will “string” and get lumpy. 5. Season with: 1/2 teaspoon paprika, 1/2 teaspoon dry mustard dissolved in 2 teaspoons beer or stout, a few grains cayenne pepper, and 1 teaspoon Worcestershire sauce.